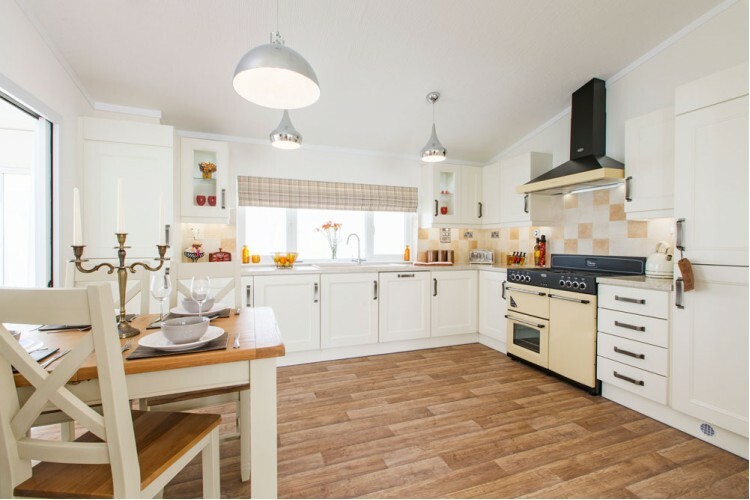 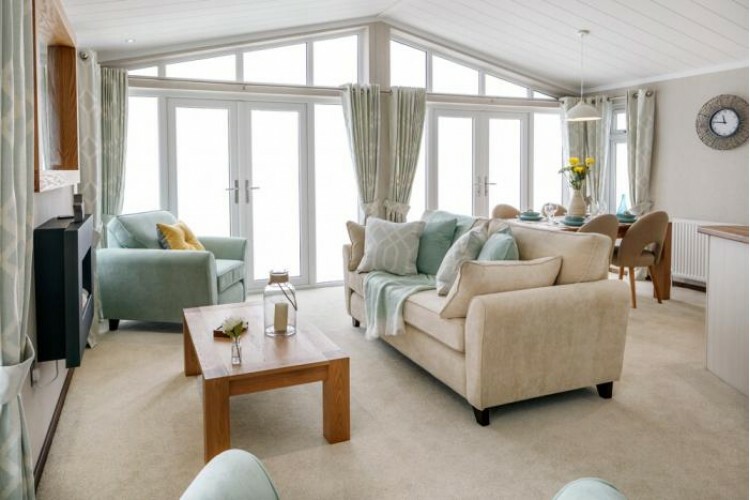 The Kingfisher, credited as creating the luxury lodge market, has been one of the most popular lodges in the UK for many years. 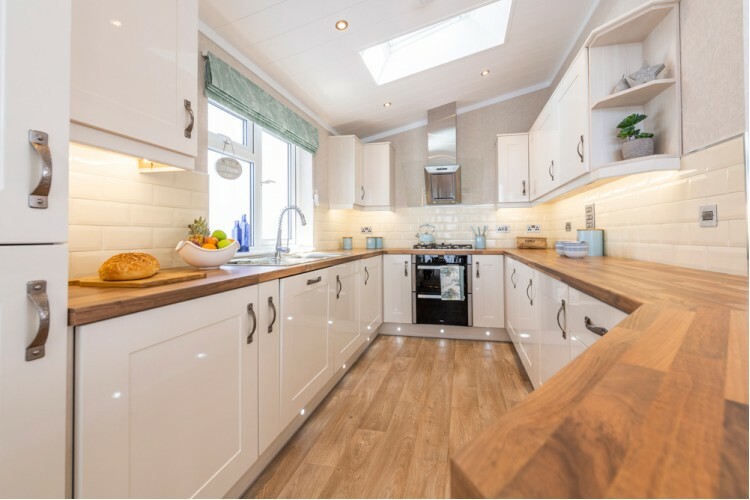 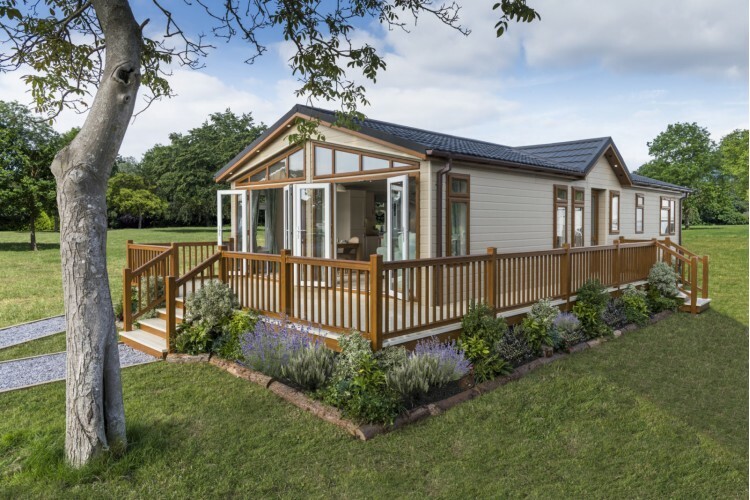 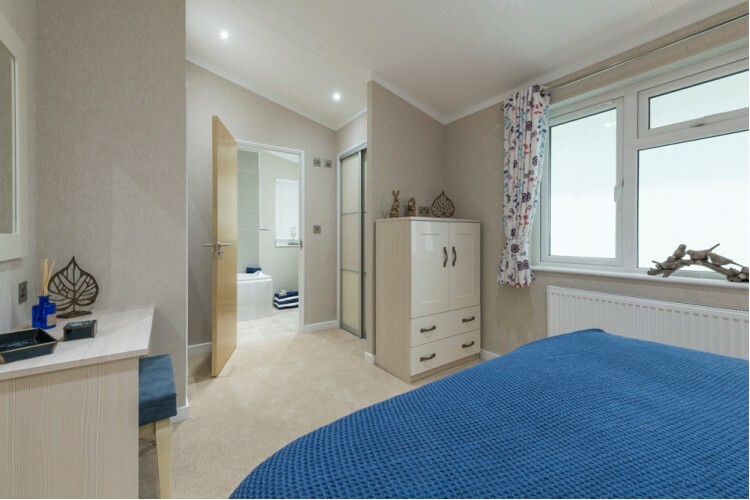 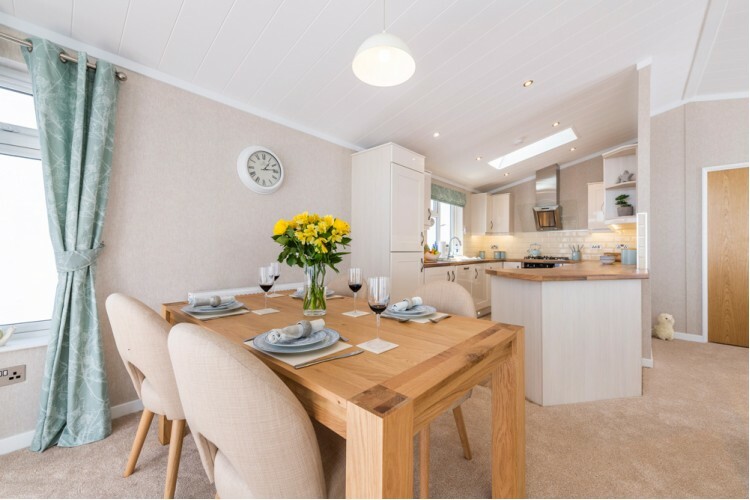 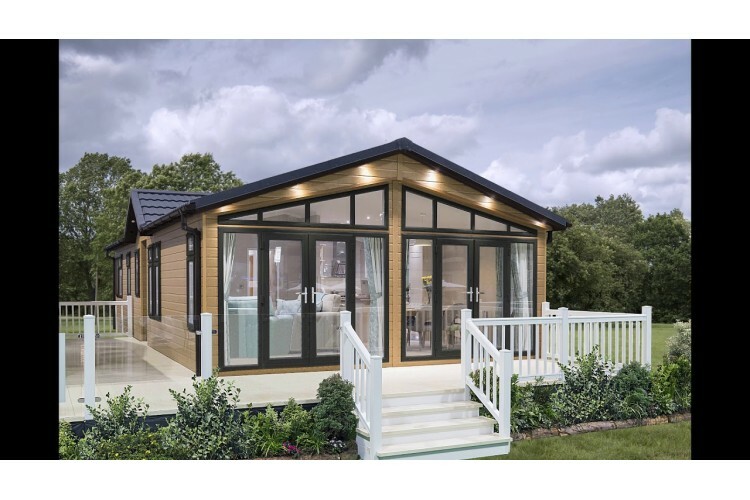 The distinctive exterior has a full glass front fascia, French doors to the lounge and dining areas and feature lighting – perfect for park settings, allowing the outside in! 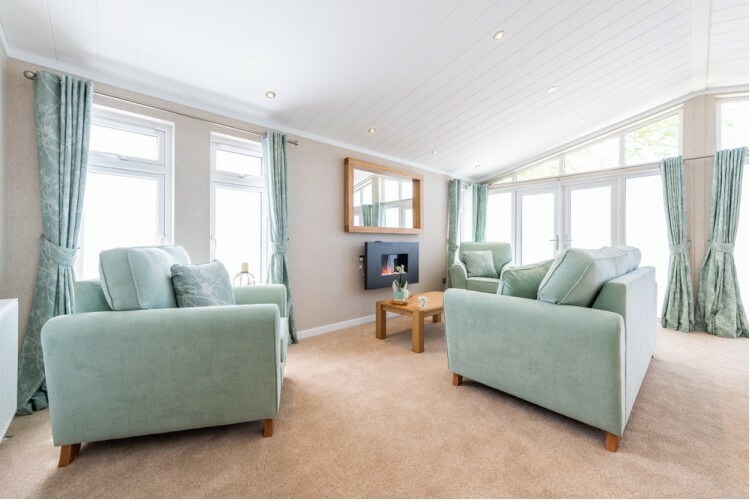 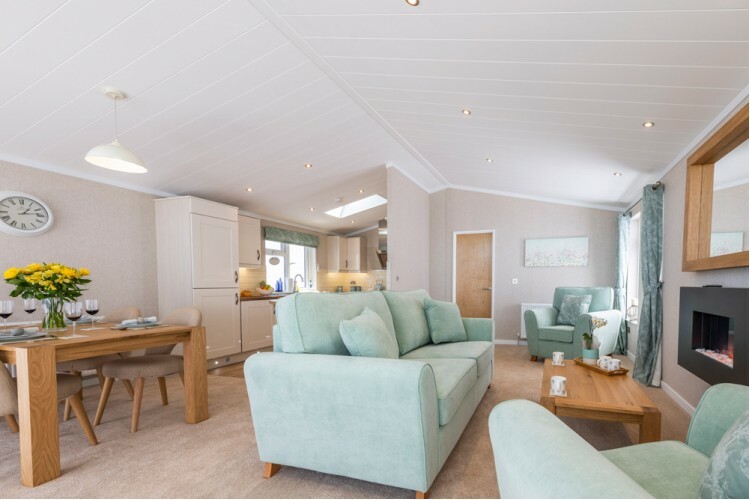 Inside, vaulted ceilings create a bright and spacious feel and contemporary interior design, alongside a colour scheme of fresh natural tones with highlights of duck egg blue, come together to form the perfect holiday environment. 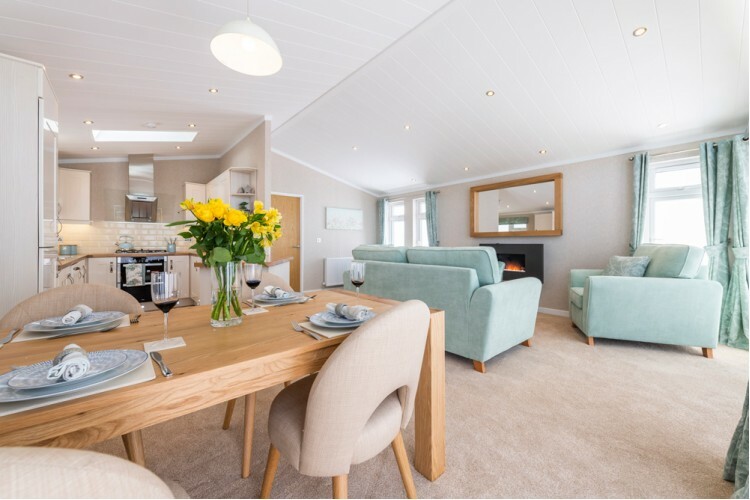 A clever layout in the open-plan living space incorporates a fully fitted contemporary-styled, ivory gloss kitchen, dining area with Turin light oak extending dining table and lounge with a comfortable sofa and armchairs; everything needed for guests to relax in comfort and style. 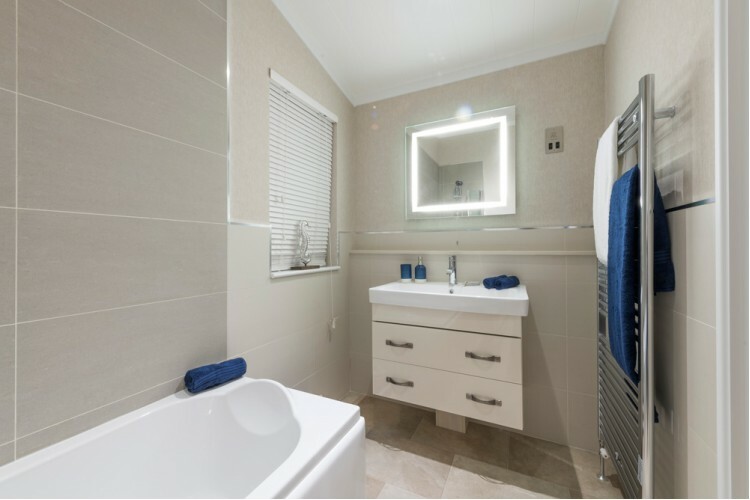 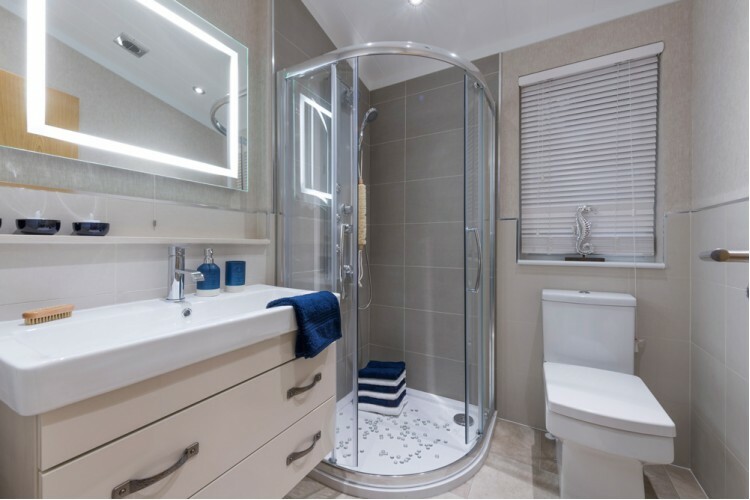 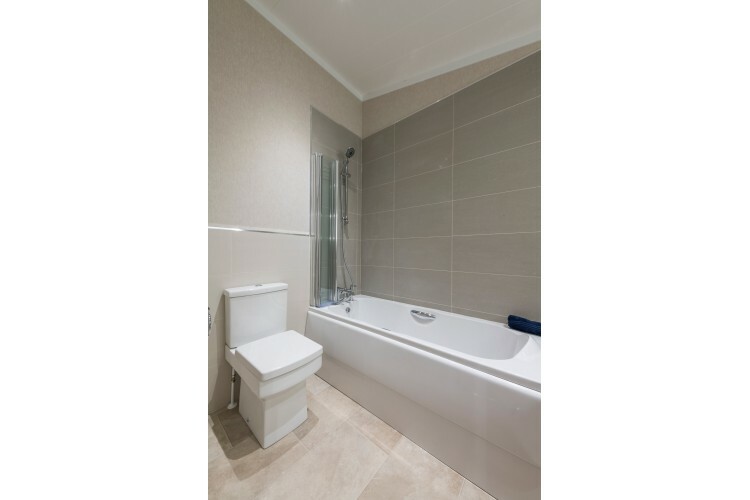 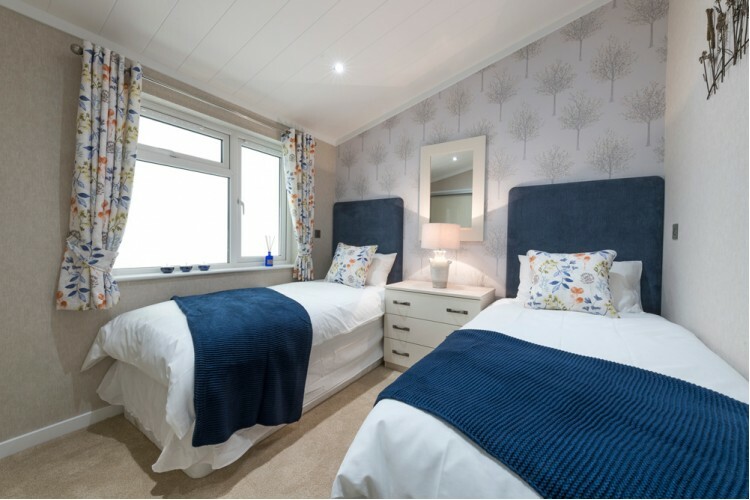 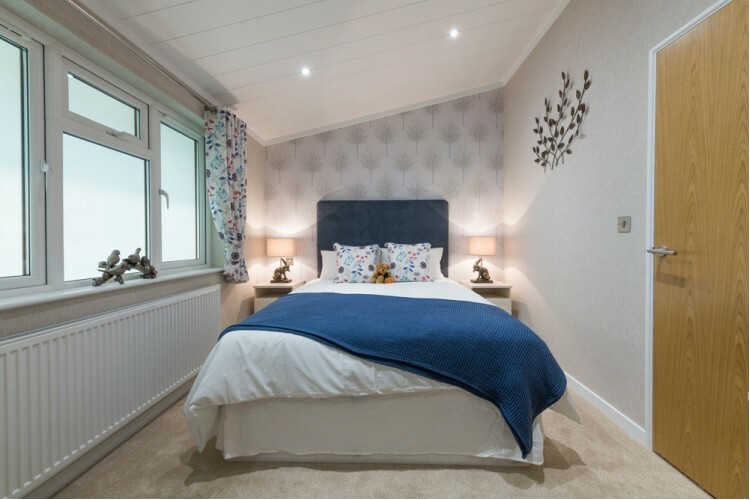 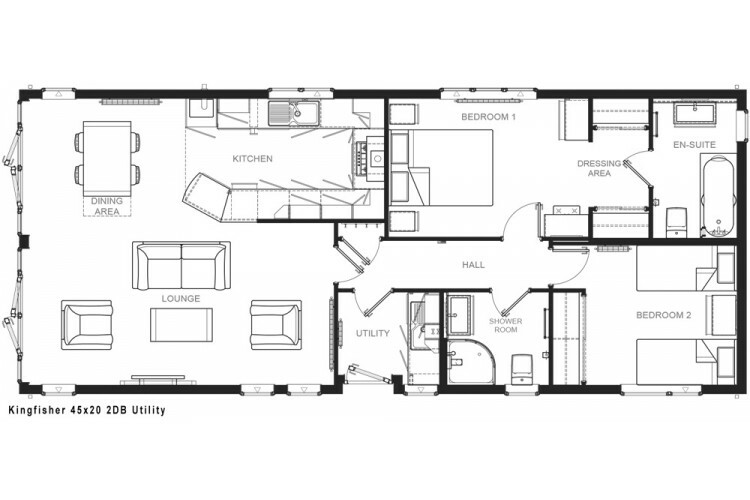 The generous master bedroom has a dressing area and en-suite, and the second bedroom, with twin beds, is conveniently positioned next to the stylish shower room.